Judge rules there is enough evidence in Kim Jong Nam murder. August. 17, 2018 07:46. by Gi-Jae Han record@donga.com. 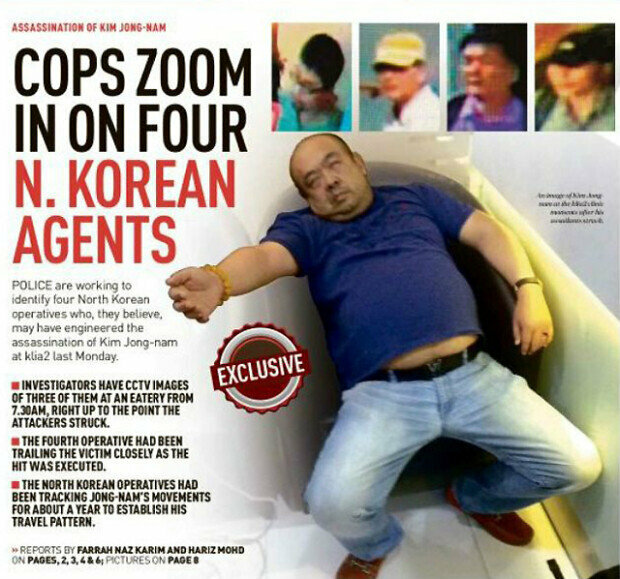 The Malaysian court ruled that “there was sufficient evidence of guilt” over two women indicted for suspicion fun or killing Kim Jong Nam, half-brother of North Korean leader Kim Jong Un. The ruling, which described the women’s act as an “organized conspiracy” signals a victory for the local prosecutor. The ruling has not been announced yet, but it would be difficult to overturn the decision without an appropriate refutation from the accused. The accused can make a counter argument in November and February next year, thus it may take several months for the final ruling to be determined. On Feb. 23, 2015, the two women covered Kim’s face with deadly poisonous neurotransmitter substance, later confirmed as VX, at the Kuala Lumpur International Airport. The court cited key evidence as the circumstances in which they targeted the sensitive eye area, which is more susceptible to skin absorption, and washing their hands in the restroom directly after committing the crime. Judge Arifin said that there was ample evidence that their desperate dash towards the restroom took place to wash off the toxic matter. The attorney’s argument that the women took the matter lightly and regarded as an opportunity to play fake cam did not work. Judge Arifin pointed out that there were no camera assistants present, which is quite common for fake camera games. The court, however, noted that the prosecutors’ claims based only on camera records and failing to summon a single witness could undermine their argument.